“Success is no accident. It is hard work, perseverance, learning, studying, sacrifice and most of all, love of what you are doing or learning to do.” Entrepreneurship is surely not an easy task and comes with its own set of challenges and hardships, yet time and again successful entrepreneurs from around the world proved that winners never quit and quitters never win. At the end of the day, it depends on how far you are ready to go even the direst of circumstances. To help you kick off “work blues” and inspire you with some entrepreneurial greatness, we have come up with the most inspirational business success stories that emerged in the wake of personal struggles, diligent leaders, hard-won circumstances and paved the way for enlightening inspiration for the coming generations. Popularly, known as the founder and CEO of FUBU and a personality speaker at Shark Tank, an ABC reality Television series, Daymond John underwent a dramatic struggle to become a man of power and stature that he is associated with today.He is also the CEO of a New York City-based brand and management firm, the Shark Group. 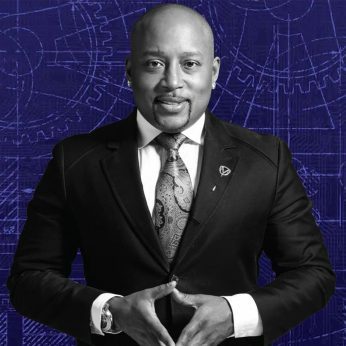 At a mere age of 8, Daymond started with his first job of selling flyers at Red Lobster.Later, on he took his first full-time job and attended school simultaneously that instilled an entrepreneur spirit in him. Growing over the years, John came up with an idea of starting a clothing company for young men when his mother made him learn sewing and even mortgaged her house to help his son go with the business idea.While wandering along market streets, John got immensely inspired seeing woolen hats sold at an overprice of 20$. He went home and made the same hat with his hands and sold them at $10. This embarked on as a stepping stone for FUBU which is today is a hip-hop American apparel firm worth $6 billion. Today, with a whopping net worth of $300 billion John sometimes goes back into the nostalgia of feeling broke that he faced during his early days.Rather than doing away with “broken mindset”, he talks about it in his book ” The power of Broke”. When you feel you have already “hit the wall” and find no other way to keep moving, you can’t buy things to help you, but only become creative to advance further”, said John, in an interview with Business Insider. ” Once you become creative, it is only after you start thinking out of the box”. 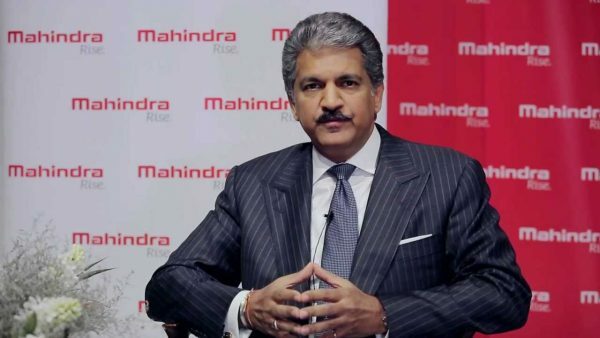 A name that today rules in the Indian automobile industry, Mr. Ananad Mahindra is a proud owner of Mahindra & Mahindra.What started as a mere jeep and truck owning firm is today a multi-national unit that has a net worth of USD 11.1 billion. Anand was born to a well-known business family on 1 May 1955 in Mumbai. Gifted with “entrepreneurial insight”, Anand showed the keen interest in his family’s business from a very early stage. But, it was only after his Master’s Degree from Harvard College, Massachusetts Anand joined as an Executive assistant in Mahindra Ugine Steel Company.Gradually, he took over as the President and made the company extend its reach into real estate and hospitality.His able guidance and leadership paid results and was handed over the responsibility of Vice Chairman. M&M has shown a remarkable growth and has become an agglomeration of multiple companies unified with a universal purpose.Today, it is continuously diversifying in areas of retail, aerospace, defense, energy, logistics and what not! Mahindra is a proud owner of many awards. He has received Rajiv Gandhi Award in 2004 for his excellent contribution in the field of business.Back in 2007, he was awarded as the Most Inspiring Corporate Leader by NDTV Profit. He is quite active on Twitter and is seen sharing his business insights and ideas frequently. His vision is inspired by Jack Welch’s dictum where one should be bound to thrive to become number one or two in his business.Under his leadership, M&M has tremendously grown to become an ace organization currently employing 117,000 people spread across 100 countries.As time goes by, it seems to give an assurance to rise high with coming time. Baidu, often referred to as China’s Google is today among the top search engine to be listed on NASDAQ. 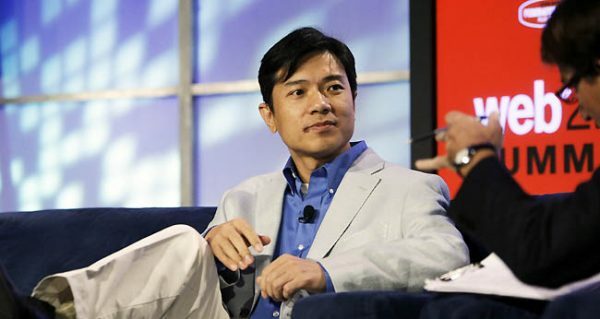 Its co-founder Robin Li, aged 46 is a perfect example of world’s creative, innovative and brilliant entrepreneur minds who started small and made big in no time in the business world. Born in an underdeveloped city of China, Yangquan, Robin faced acute hardships and struggles from his early childhood. He was very close to his mother and grew up keeping her words in his mind. “We don’t have a backdoor if you want to live a better life, study hard and ensure that you get into a good college”.Robert studied religiously and completed his doctoral degree in computer science from the State University at BuffaloMasters of Science. He always dreamt of building his own search engine and therefore decided to leave his high paying job as a software developer to work for his own dream. He teamed up with his friends and founded Baidu.com which today is world’s second largest search engine in the world. Baidu suffered intense competition from Google which was the sole search engine people were using back then, but Google failed to capture the talent and Baidu took to popularity in China. Li inspiration strategy has been very grounded and principle oriented. he strongly believes, that it is important to love the work you do, and that can be made possible only by knowing one’s own venture. No doubt success and failure go hand in hand, but to rise a perfect strategy is always crucial. Barbara Corcoran is an American businesswoman, entrepreneur, consultant, and a renowned television personality.She is also “Shark Tank” investor at ABC reality television series. Today a real state mogul was once highly depressed when she suffered a breakup from his boyfriend and ex-business partner. His ex-told him she would never succeed without him. This is where Barbara found her motivation and founded her very own real estate company, Corcoran. Her principles and business ideas have been quite uplifting and unique. As a columnist in Redbook, The Daily Review and More Magazine, she has shared her life’s journey and has also been invited as a business speaker in various real state conclaves. While speaking at one such event and recalling her struggle days, she said, “It is important to believe that you have the very right to succeed. As a small fish surviving in a real estate world, I would always assert myself, I have the right to be here. This made her continue despite the setbacks in a male-dominated real estate world. Know you have the right to succeed. As a small fish in real estate’s very large pond, Corcoran learned to tell herself, ‘I have the right to be here.’ That assertion gave her the confidence to blaze an ambitious path, even when she was the only woman in the boardroom. When she got her first paycheck, she didn’t go to buy food, rather headed straightforward to Bergdorf Goodman to buy an expensive coat. “if I looked like I was capable, then I am capable. It’s perception that creates reality” she said while talking about her success story in a magazine interview. 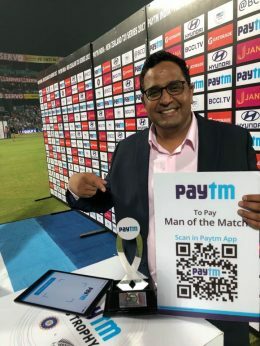 Hailing from a middle-class family in Aligarh, being a back-bencher in school, suffering inferiority issues with his English speaking to becoming become the CEO of leading Indian technology payment platform, Vijay Shekhar has surely come a long way. The man who always adorns a welcoming smile started off as an ordinary young boy struggling to meet his daily needs with just Rs. 10 in his pocket, is today the leader of 3 billion USD worth company and making all heads turn to his direction. He left his very first job in an MNC in just 6 months, to work for his own venture. When things had just started setting in, Vijay suffered a major setback and went bankrupt after his friend and co-partner left him off midway.In 2005, Vijay went through another devastating moment of his life when he was conned of 40% of his equity.But, destiny had something else planned for Vijay when started 197 Patents for Paytm and had a “big” moment in 2011 entering into the startup ecosystem. Well, it’s not just hard work or diligence but a never-ending zeal to create ideas, and offer best to customers that have put Vijay into a position he is today even without any business background or a high-end degree. Vijay strongly believes that his early life struggles have impacted a lot of the person he has become today and therefore stresses on working hard and smart to be able to reach one’s goals. Life indeed is full of opportunities. While there are infinite possibilities to come out of the maze, one has a finite time to find their calling and create a mark for themselves.This is the time you have. After all, you never know your story would come as a next inspiration for all of us!